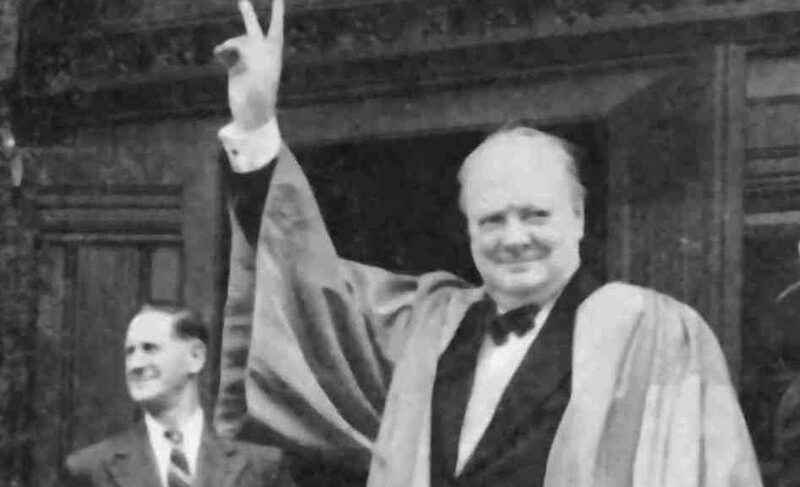 Thompson with Churchill for the Harvard Speech, 6 September 1943. 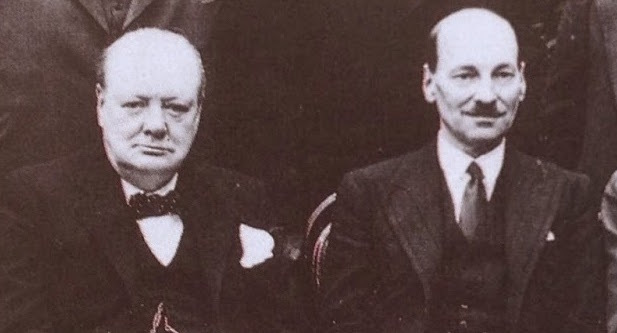 The suc­cess of the movie Dark­est Hour has prompt­ed many to look up oth­er film and video pre­sen­ta­tions of the Churchill saga. One of these is the 2005 series on Wal­ter Thomp­son, Churchill’s Body­guard, which a col­league tells me is a use­ful doc­u­men­tary. It is. All thir­teen episodes are on YouTube. I watched sev­er­al with­out complaint—rare for me.